Where they grow - a region with many flavours! 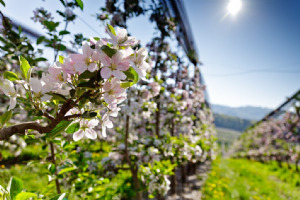 In spring, countless apple trees transform Styria into a picturesque sea of blossoms. As the centre of Austrian apple farming, this region is located in the favourable climate of the European apple belt, which extends from Hungary to France through Slovenia, Austria, Italy (South Tyrol), Switzerland and Germany. Fruit-growing is a tradition here – it characterises the land and the people, and thanks to the implementation of the latest know-how and future-oriented technology it has become an innovative and successful branch of agricultural production. The ideal climate and the right soil allow for a wide range of varieties and give the apples their unmistakable Styrian taste. The Styrian apple is not a mass-market product, but rather a high quality and above all healthy natural product. Enjoy these images from one of the most beautiful regions in Europe! 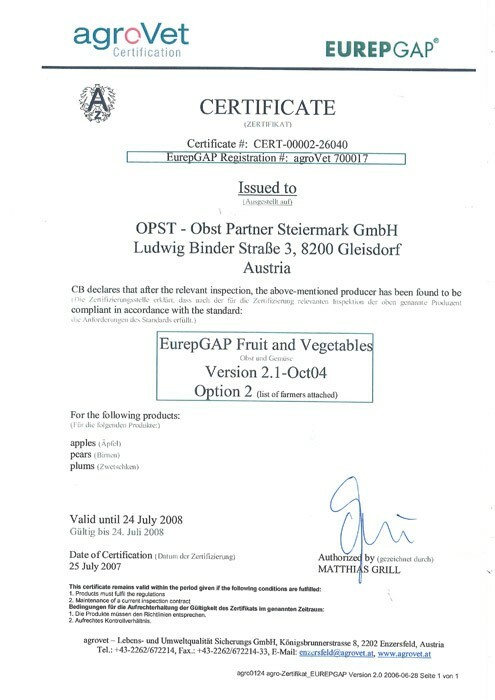 The Integrated Quality Management System (IMS) of OPST Obst Partner Steiermark GmbH combines product safety from tree to shelf with efficiency in processing. The core of IMS is a comprehensive HACCP concept. IMS is set up to enable certification according to all modern norms and standards. 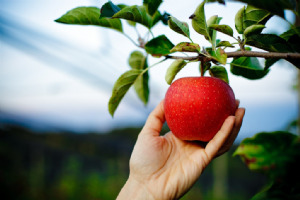 More about the frisch-saftig-steirisch quality und the apple-growing region can be found here!